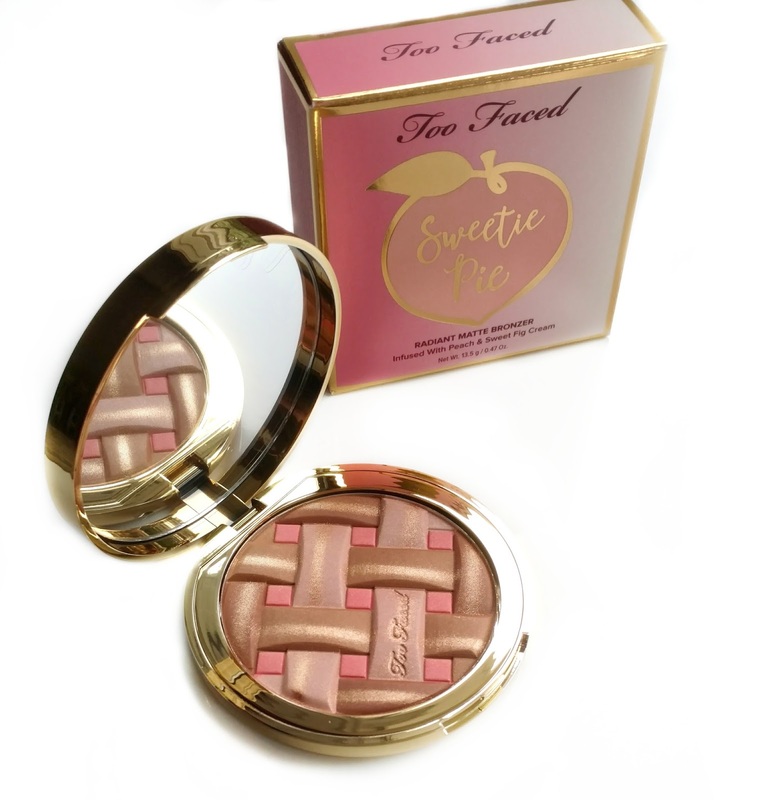 The Too Faced Sweetie Pie Radiant Matte Bronzer ($30) officially launches tomorrow at Sephora.com and Sephora stores but I got my hands on one early when they released a small amount on Monday as a preview. To be honest, when I saw photos of the entire collection a while back, this wasn't one of the things on my must-have list. But after playing with it a little bit yesterday, I'm so happy I bought it! This is really more of a first impressions post since I haven't used it for more than a day and a half, but I wanted to let you know my initial thoughts since the collection launches tomorrow and you might be thinking about buying this. One of the reasons I didn't want this at first is because it looked shimmery in the stock photos. I know a lot of people love shimmery bronzers, but now that I'm 39, I personally prefer a matte or satin formula. Thankfully, the gold shimmer stripes running through the top of this are just an overspray! 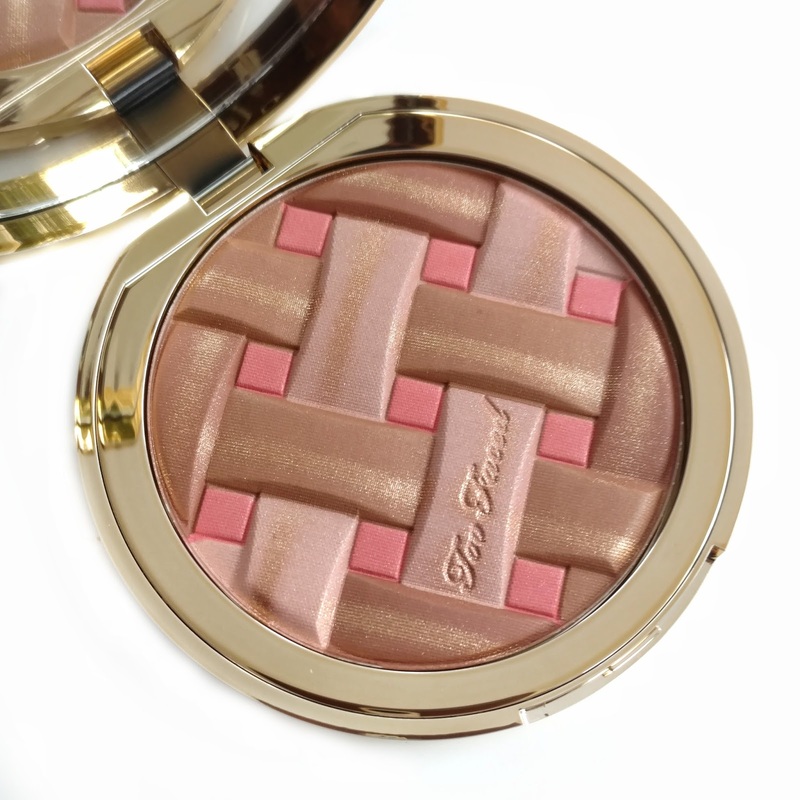 After the first use, they wipe away, and this becomes a satin bronzer...not flat matte but not shimmery either, and it gives my skin a beautiful, healthy radiance. It goes without saying that the packaging is adorable. 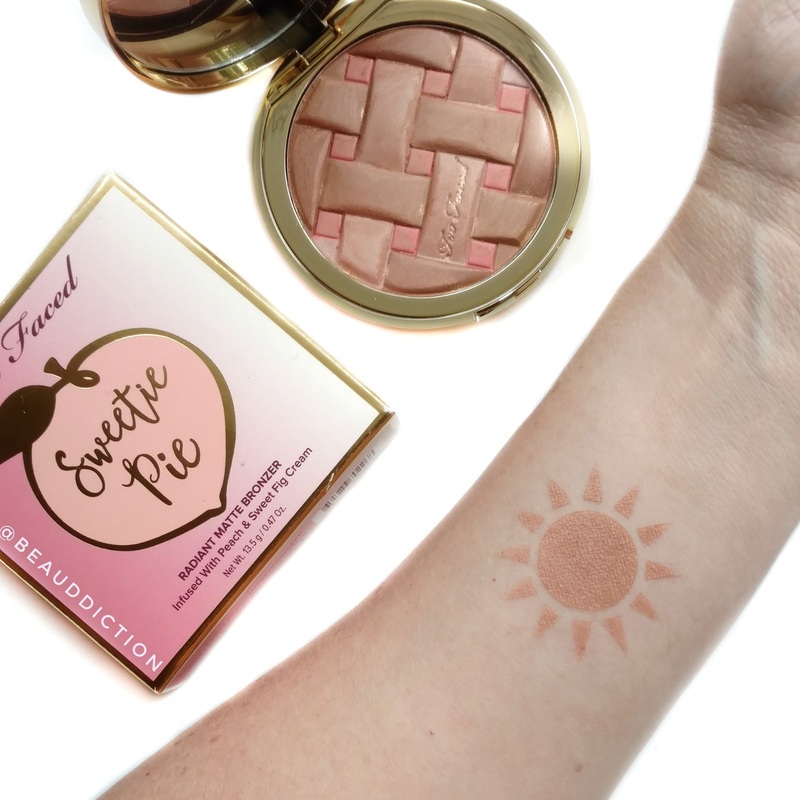 It looks like a cute little peach pie and it smells delicious. Instead of the usual peach scent, this one has sweet fig cream in it as well, so it smells like a baked dessert! The formula is beautiful as well. It's so silky and smooth, picks up easily with a brush, and blends effortlessly on the skin. 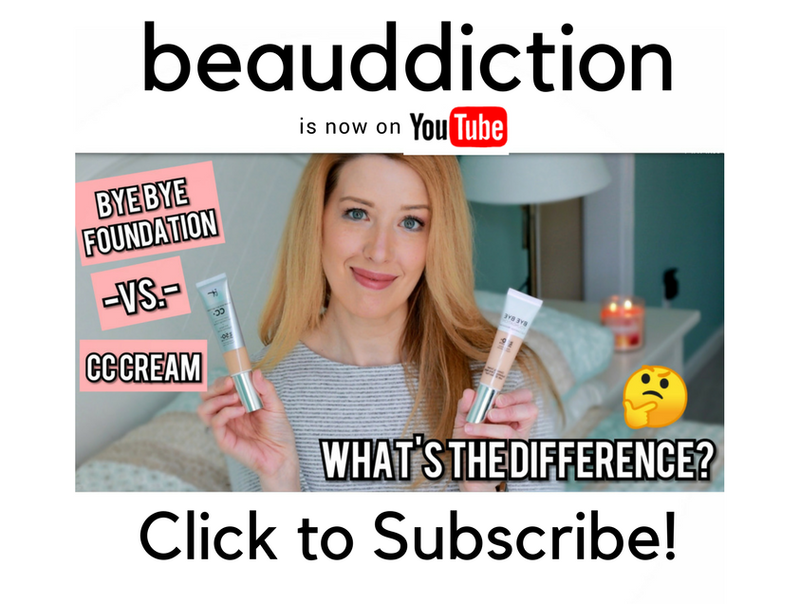 The shade is definitely more suited toward Fair-to-Light skintones, and possibly Medium but unfortunately it's way to light for deeper skin tones. On me, it perfectly mimics that rosy-brown glow that I get when I've been at the beach all day. I love that they included the little bits of pink in there because a natural suntan definitely has more of a rosiness to it, rather than being straight-up brown. 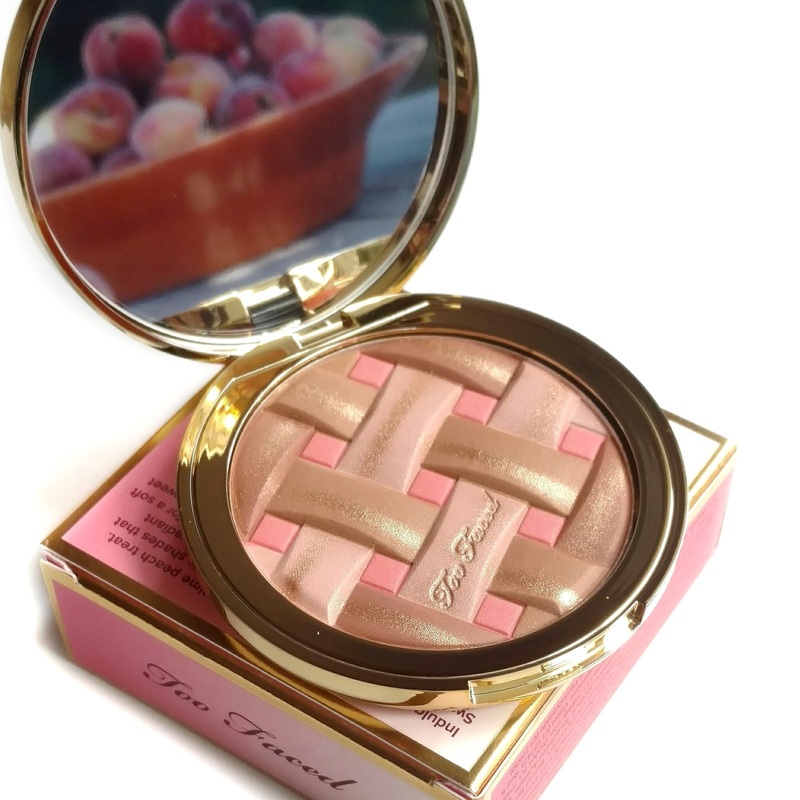 I kind of wish they had released this at the beginning of the summer, as it would have made more sense, but I do tend to use bronzer year-round to warm up my skin, so for me it's not a big deal. I'm already looking forward to using this in the dead of winter when I'm pale as a ghost to bring a sunny glow back to my face. Available starting tomorrow at Sephora.com and in-store at Sephora. FTC: This post is NOT sponsored. Product(s) featured were purchased by me with my own money. Your swatches are so fun. Really improves the predentation aspect. Those templates are a winner.